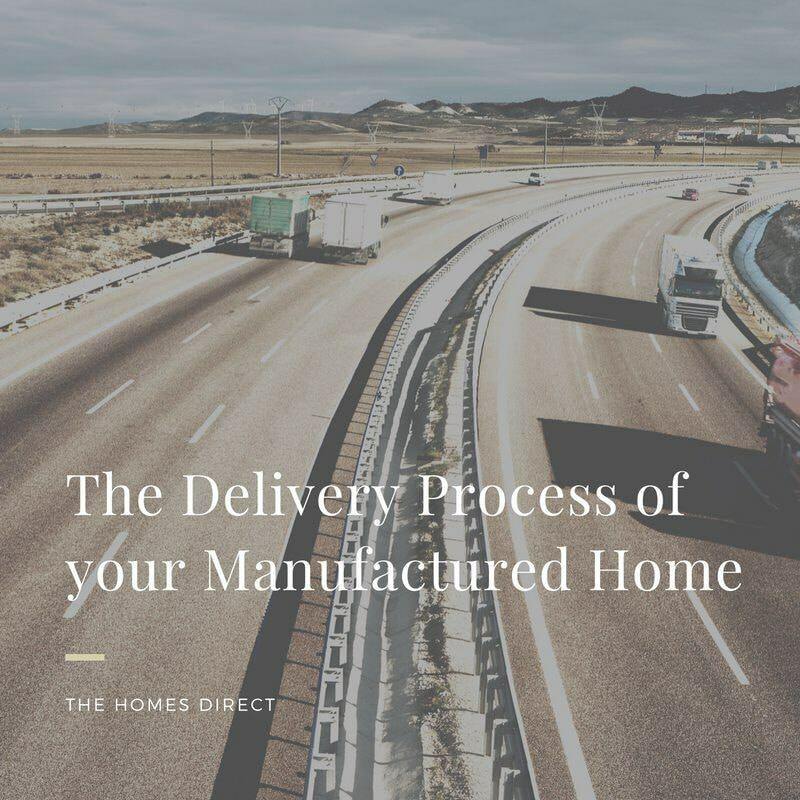 We have prepared this step-by-step guide to assist you in understanding the process of manufactured home buying and in following it successfully. This guide will walk you through the steps for planning, financing, land purchase, delivery, setup and connection to city services. You will find valuable links to other sites and articles. Financing is considered to be the first step since you will want to know how much money you can borrow and how much of your funds you will need to make the purchase. The key to obtaining financing is to be prepared with documentation for your income, debts, and assets. You may need to prove you have been employed for at least two years and preferably at the same job. 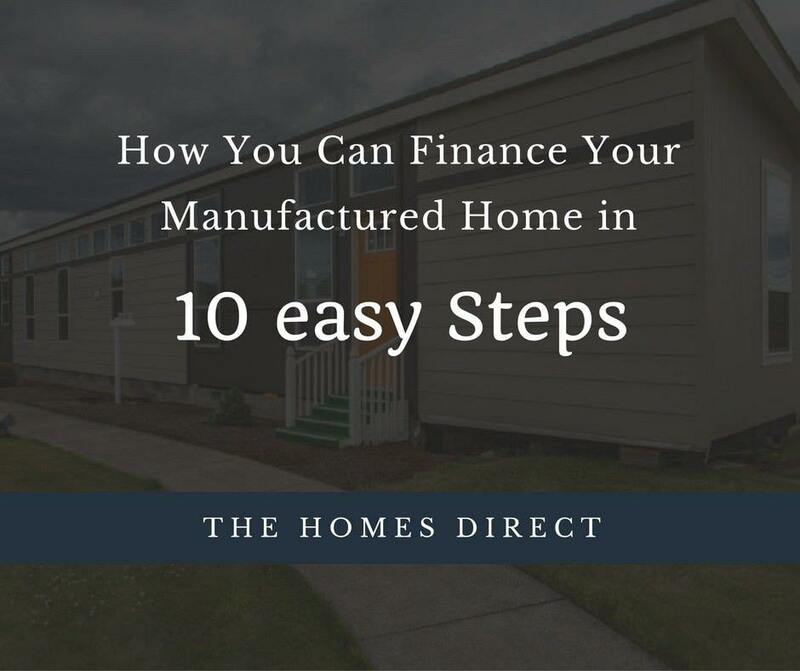 Your financing options will depend on the price of the manufactured home you want to buy and the amount of money you have for a down payment. This is a more detailed article on financing: Mobile Home Loan FAQ. This is another website that is about a specific lender. Homes Direct has an article that discusses the type of loans available: Top 6 Manufactured Home Loans. Buying land for the installation of a manufactured home requires due diligence. The first step in the due diligence process is to check with the local government to see if any government restrictions on the use of the land exist. Zoning restrictions are just one inquiry to make.. Some governments have restrictions on the property where a manufactured home can be placed. One example is a setback restriction.Having the property surveyed will ensure that you are aware of the property boundaries. An inquiry about any known soil pollutants would be appropriate. A parcel of land can appear to be good, but hidden dangers can lurk beneath the surface. Regardless of the government’s response to this question, you might want to have the soil analyzed. The land must be stable enough to support a manufactured home. Land can have pockets in the soil that once held water, but are now dry. These can be troublesome if the weight of the home causes the soil to collapse. One way to find these problems and also to determine soil stability, in general, is to have a general contractor drill holes in several places. You may also find a local land expert who would know about problems with the land. Buying partial ownership can be a problem. If a company has the right to use the land for some purpose that is not readily visible, then you may not have the right to put a manufactured home on the property. Buried utility lines and gas and oil pipelines are examples. The companies may have negotiated a right-of-way with a previous owner. Another problem is the farmer who bought grazing rights for cattle on the property. His right to use the land will prevent building anything on it. Hire a title company to conduct a search for these kinds of problems. This action will be the best protection you can get against finding that someone else has rights that supersede yours. Planning begins with determining the size of the home you would like to have and how much you can afford to pay. All actions flow from here. While securing a site is often considered to precede determining the size of the home, it might also be a good idea to select a home and then find a site that accommodates the home you want..
A critical phase of planning is selecting a manufactured home that will fulfill your needs. Homes Direct Inc. has many different models to select from. Here is a link to the online manufactured home search database. You will be able to find information about every home offered. This website will help you determine the best home for you. 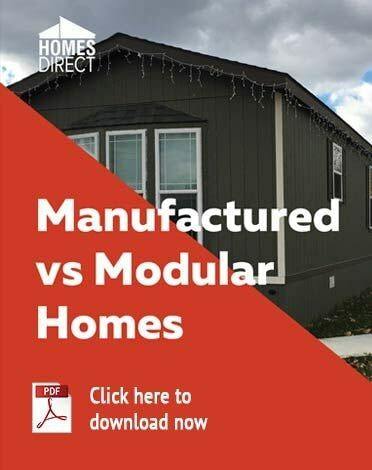 You may already own the land you want your manufactured home to be set on. Or, you can now begin to search for land that will accommodate your choice of a home. Once you have selected a home and the land for it to be installed on, then the manufacturer will make arrangements for delivering the home. 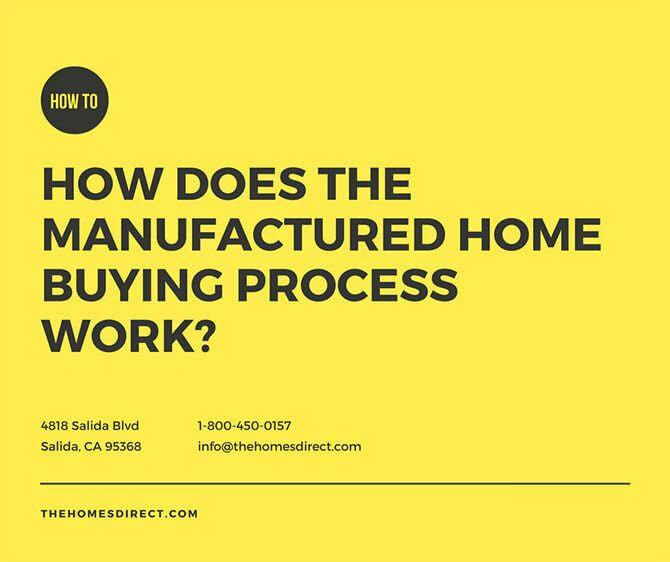 Homes Direct discusses this in Step 5 on their website: Manufactured Home Buying Process. You can plan on your new home being move-in ready in about 4 months from the purchase date. Homes Direct Inc. will be with you every step of the way. Their representative will be at the site when the home arrives to be sure that everything is the way you expected it to be. Your new home will be protected during delivery and setup. A description of the setup process is described in Step 5 of the Homes Direct website. The complete process including final city inspection takes 21 days on average. Escrow will be completed and you will receive the keys to your new home. While the connection to city services is included in the 21 days, if your land is in an area where some city services are not available, you will have to make arrangements for these to be provided ahead of the time that your home arrives. This process should be part of your decision to purchase the land. Manufactured home buying is a straightforward process that is not complicated. If you have more question or want to buy a home of your dreams Contact Us now.